Congratulations to SKF members Thomas Scott, Matthew Tainsh and Andrew Green who won the Senior Mixed Team Kata event at the Karate Shito-Kai England Open Championship in Gloucester yesterday. 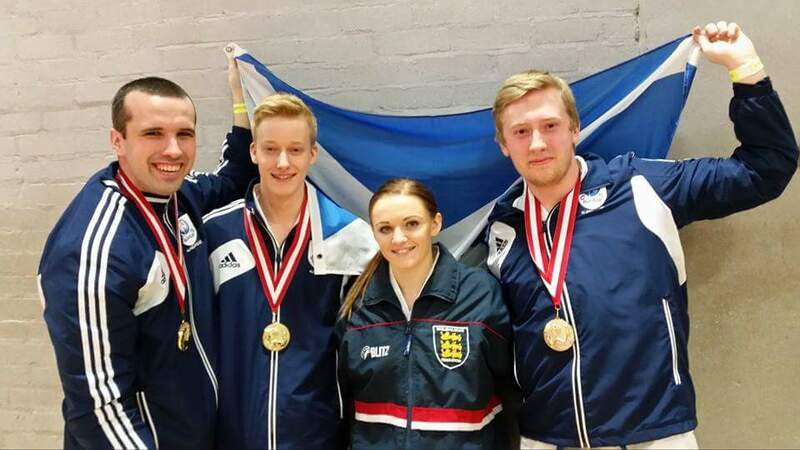 They are pictured with England Kata International Aimee Sell. This entry was posted on Tuesday, March 3rd, 2015 at 1:08 pm and is filed under SKF. You can follow any responses to this entry through the RSS 2.0 feed. Responses are currently closed, but you can trackback from your own site.